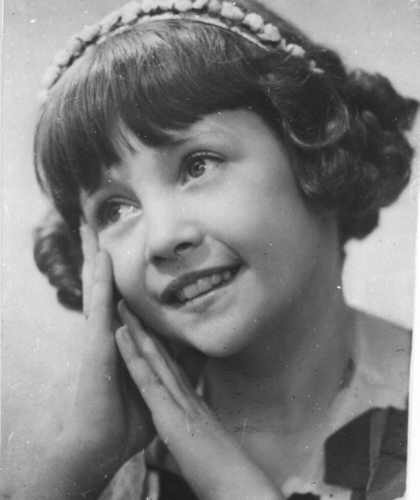 HAZEL ASCOT - THE UK's SHIRLEY TEMPLE? THE UK'S ANSWER TO SHIRLEY TEMPLE? 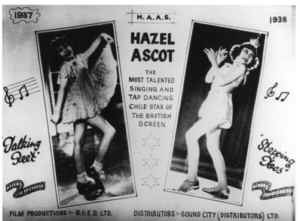 Hazel Ascot was a champion child tap-dancer of the 1930's who also appeared in a couple of feature films. 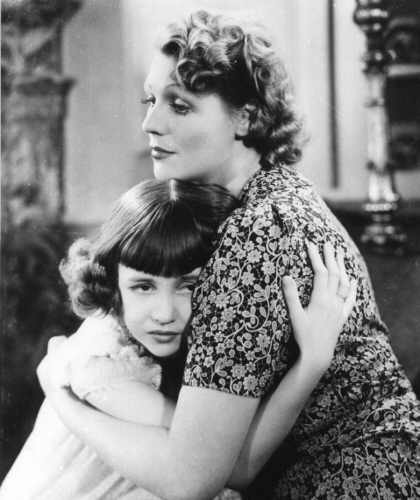 Her first film appearance was in the 1937 musical film "Talking Feet". This film, made at Sound City (later Shepperton) Studios, was produced by John Barter, directed by John Baxter and starred Hazel Ascot, Jack Barty, Davy Burnaby, Enid Stamp-Taylor, John Stuart and Muriel George. It was while John Baxter was looking for rehearsal rooms for a proposed film to be titled "Music Hall" that he chanced upon Hazel, whose father Duggie Ascot ran a dance academy in the Charing Cross Road. To accomodate the dance aspect he retitled his film "Talking Feet". The simple storyline revolving around a fund raising concert to save a local hospital enabled the inclusion of many variety items. On 9.5mm sound we find three one reel musical items from this film, released by Pathescope in 1952, via our old friend E.J. Fancey who by now had the rights to the film. T.9704 "Concerto" features Mark Hambourg and his Minipiano Ensemble playing pieces including Rossini's "William Tell Overture", Chopin's "Polonaise" and "When Day Is Done". Incidentally the sound on this 9.5mm print is not exactly hi-fi! T.9713 "Gathering Of The Clans" features the Dagenham Girl Pipers - with their name so often taken in jest it's nice to see they actually exist! 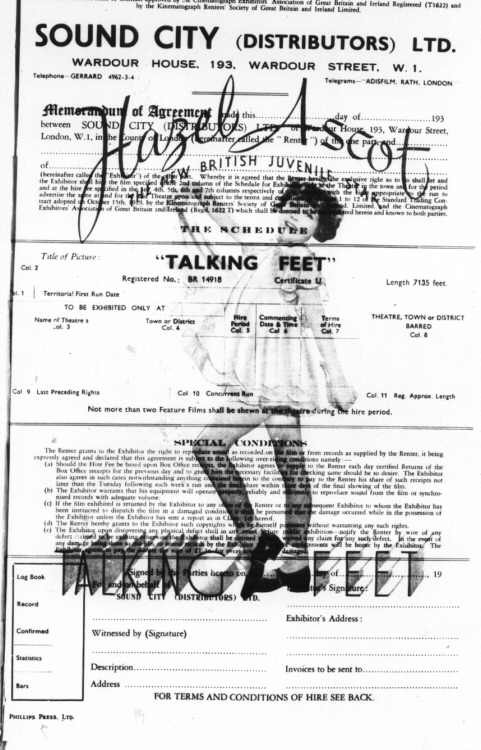 Finally T.9703 "Dancing Feet" features the title tune "Talking Feet" and other numbers danced by young Hazel Ascot and the Gordon Rae Girls. 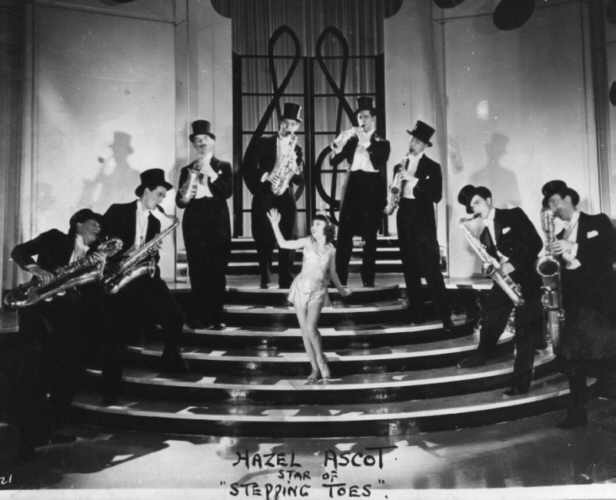 Hazel's father, Duggie had come to London from Manchester, where Hazel was born, and formed a four piece step-dance troupe "The Petite Ascots". These can be seen in one or two British Lion 1935/36 variety shorts; on 9.5mm as T.9313 "Variety Number 1", T.9314 "Variety Number 2", T.9315 "Variety Number 3" and T.9319 "Variety Number 7". The Petite Ascots included one of Duggie's four daughters, Marjorie (seven years older than sister Hazel), crooner Sam Browne's sister Pearl and Pauline Mabbett. In fact at the time when Marjorie was 13 and Pauline was 12, Hazel and her sister Marjorie lived with Pauline's family in the Charing Cross Road. 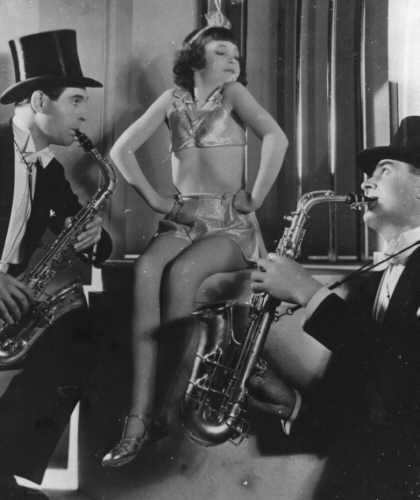 With their popularity increasing, he formed two "Petite Ascots" dance groups each with three dancers. Soon Marjorie moved on to managing their tours. One major claim to fame was that they danced for Hitler in Germany, not getting paid as war broke out soon after! 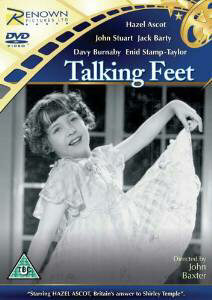 Because of her success in her first feature film "Talking Feet", Hazel was starred in her second film "Stepping Toes". Originally titled "Rhythm Of My Heart" the title was changed to "Stepping Toes" when it was discovered a Bing Crosby film was being made with a similar title. This film, made in 1938 was again directed by John Baxter and produced by John Baxter and Jack Barty. 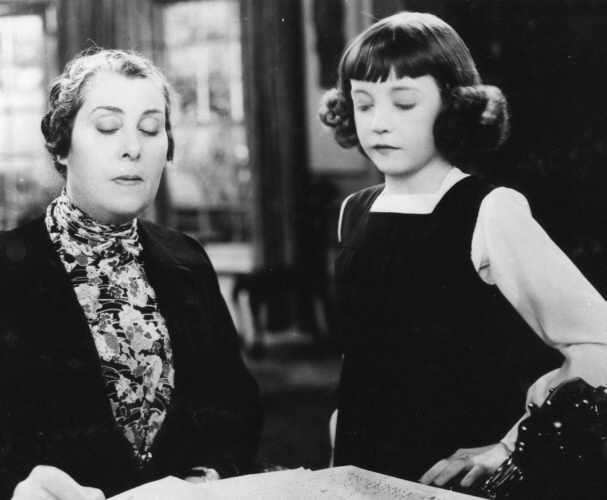 It starred Hazel Ascot, now 8 years old, with Jack Barty and Enid Stamp-Taylor. In this slim story we find Hazel as a child dancer who wins a seaside talent contest, run by her long lost grandfather. Reunited with the family, grand-dad goes on to organise a West-End show for grand-daughter Hazel. Group 9.5 London Section members were able to see this long lost film (on 16mm) a few years ago at a Pimlico film evening. As David Quinlan says in his book "British Sound Films - The Studio Years" - 'Teeny musical has some fresh charms'. There are certainly some good song and dance numbers from Hazel plus appearances by Billy Thurburn, Afredo Campoli, Wee Georgie, The Sanders Twins, The Three Dots, The Cone School Girls and The Duke of York's School Boys. Choreography was by Hazel's dad Duggie Ascot. 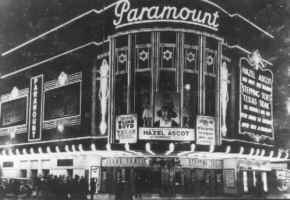 Although these two films were effectively "quota quickies", (films made to cash-in on the Quota Act requiring exhibitors to screen a proportion of British product), they were certainly popular with family audiences and had been used to open a number of the new Odeon cinemas. Sometimes Hazel herself would be an added attraction, performing live on stage during the interval. According to Derek Threadgall's excellent book on Shepperton, published by the B.F.I., a further feature film was planned for Hazel Ascot, this time in colour, a circus drama provisionally titled "Hazel of the Sawdust", but the second world war put paid to the plans. A London County Council ban on child artistes restricted live appearances. 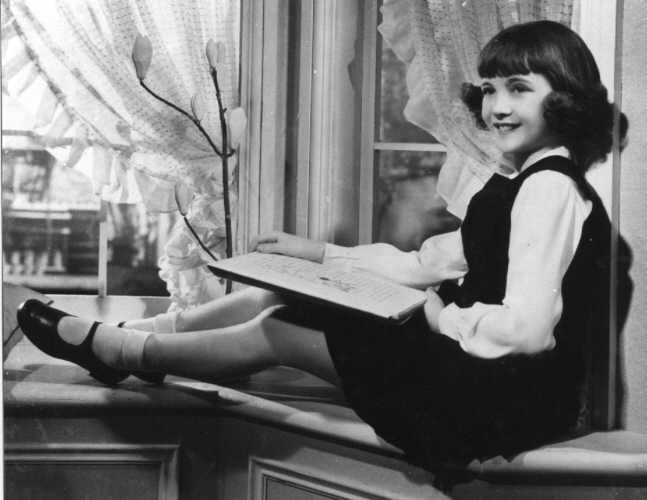 In 1945, after the war, Hazel was old enough to apply for a licence to appear on the stage. Things were not the same in the austere post-war years, although she appeared in West End shows and revues and had a show on Radio Luxemburg, Hazel took an office job at seventeen and was nineteen when she danced on stage for the last time at a big film industry dinner. "I danced, got changed and went home and that was that". Well it wasn't quite - around 1970, an ardent fan, the late Tony Willis, who lived near Brighton, decided to form the Hazel Ascot Appreciation Society. 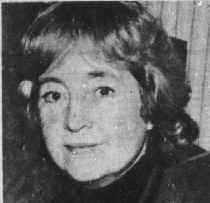 Via her brother, he managed to trace Hazel, who by now was Mrs Hazel Banting. With dancing days long since forgotten, she had become a primary school teacher, married her childhood sweetheart Peter, an architect, and had a son Leigh and daughters Michelle and Joanna. (Today they still live close by the Shepperton Studios where it all started long ago). 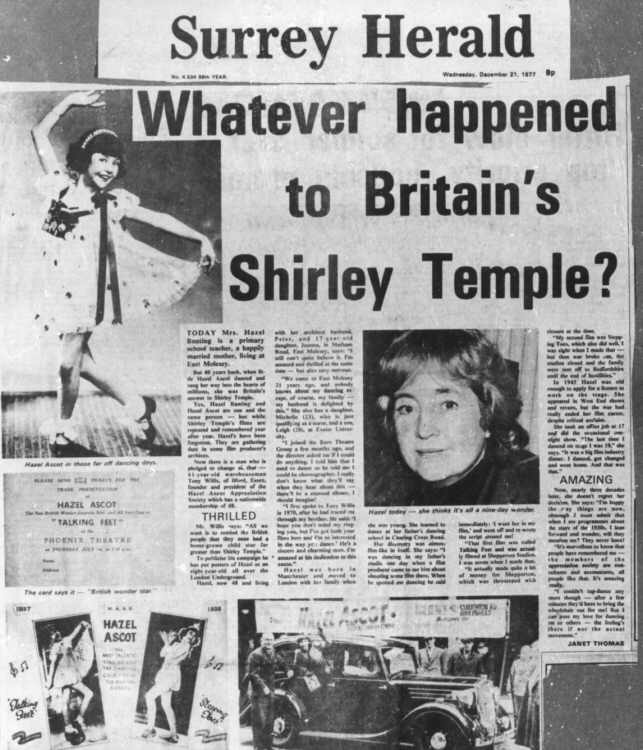 Tony even put posters around the London Underground to remind people of the star who had been billed as Britain's Shirley Temple. He managed to trace 35mm prints of Hazel's films and arranged regular screenings. Copies are now with the Brititsh Film Institute, although their print of "Talking Feet" is incomplete. I have been lucky to get Tony Willis's 16mm versions of both titles. Grahame Newnham, 22 Warren Place, Calmore, Southampton, SO40 2SD - cheques payable G.L. Newnham. Wilfred Roy; David Keir; K.J. Shepherd; Griffiths-Moss. Extracts (Mark Hambourg) in short "Twinkling Fingers" (New Realm) 8/1940.